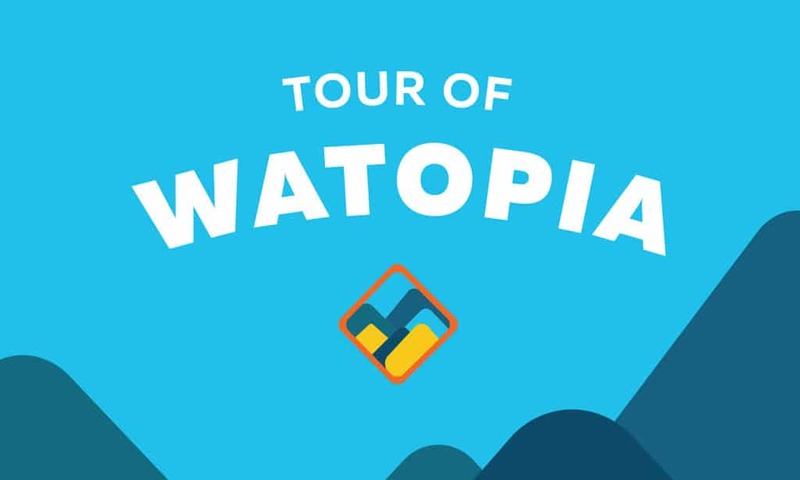 Zwift has released the details for Tour of Watopia, and the most exciting part (for us, anyway) is the new game features which the Tour will show off. First, we have new event options (see notes under stages below) which will surely be used in other events moving forward. These allow events to be run at night, to always give out helpful powerups, to be run as a TT race, etc. Most exciting of all is the new “Tempus Fugit” flat route which will be unveiled on (or before) May 6th. This appears to be the much-anticipated Watopia flat expansion. We’ll be publishing more about these new features as information becomes available. For now, here’s what we know about the upcoming Tour of Watopia. This stage appears to be using a new Zwift feature which allows events to run at a particular time of day for all participants. “Night mode” will have us all riding the Jungle in the dark. Bring your flashlights! Or ride your flashlights, as everyone will be on a the Tron bike for this stage. This stage appears to be using a new Zwift feature which allows events to hand out only helpful powerups (probably the aero helmet, van, and feather) at each arch. For the first time ever on a Zwift stage tour, we’ll be riding this event together as a group workout. Jon’s Mix for all! Distance and elevation unknown (based on group speed). This stage appears to be using a new Zwift feature which gives the big XP bonus at each arch. Time to level up! We have a surprise for you in Stage 5. 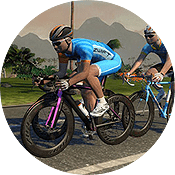 Finish this stage to unlock the 2019 Tour of Watopia kit. The new route appears quite flat–flatter than any other route on Zwift, in fact. Perfect for a TT course! Tempus Fugit is Latin for “Time Flies” so our guess is this is exactly what Zwift has in mind. This stage looks like it will be run in double draft mode. This stage appears to be using a new “Against the Clock” event mode for TT’s. We’re not sure what this will look like exactly, but it looks like new features for TT races are being rolled out so that’s exciting. Our final stage is up Alpe du Zwift. This one’s gonna hurt! Will a Yeti be joining us on our voyage up the Alpe? We’ll know soon enough! Each stage has an A or B group to join. B is for women only, while A is for anyone. Both groups will ride the same distance. If you miss one or more stages, makeups events for stages 1-4 will be held on April 29-May 5th. Additionally, makeup events for ALL stages will be held May 27-June 2nd. Completing 5 stages unlocks the Tour of Watopia kit (see below). Your kit will arrive in your garage after the make-up weekend finishes (after April 29). Complete all 7 stages and you’ll unlock a Tour of Watopia paint job for your Zwift Aero bike. I like the fact that each stage has a full week to complete, with make-up days. Everything sounds great, looking forward to it. Hope they offer a gift box for sale like the Tour de Zwift did. Not sure we need a super super super flat route expansion – Volcano Flat is already pretty pancake – but any expansion (and additional features) are always welcome plus new scenery will be ace. Also it’s going to be a FAST circuit especially with a massive pack in double draft mode! Is it only the TEMPUS FUGIT stage that unlocks the kit? Looks like riding 5 stages gets you the kit. A flat stage by itself doesn’t excite me a whole lot either–I like a little bit of climbing. BUT… the flat roads are always the most busy ones in Watopia. So it makes sense to add more. I hear the scenery will be eye-catching! No groups for C and D riders? I knew it! Rumor has it the Yeti hangs out around turn 2 at the top of the Alpe. What is up with the event times? I live on the west coast of North America and I am hard pressed to find a single start time in any of the stages that would allow me to participate – all the weekday times are during working hours and almost all the weekend times are in the middle of the night. I think the A and B groups for the tour are for male and female and not the usual A, B, C, & D W/Kg categories. The email that I got today says you get the kit if you finish any 5 stages. So you’ll achieve the goal after Tempus Fugit if you do all of them up to that point, but even if you skip that one and complete 5 of the 7 in total you’ll get it. Clever way of making folks add another month when weather is getting warmer by making it take 2 months. won’t get to finish this one since i’m shutting it down for the summer. Wher do i register to the tour? I was also tempted to keep my subscription to Zwift going for a few months just to complete this (rather than giving it up over the summer), but then saw the scheduled event times – they all seem to be in the middle of the night, or when I’m at work! I can maybe make one of the Sunday afternoon rides, but I’d much rather be riding IRL then. Does anyone know if the times you register are for local times to wherever your registered from, or are those times for GMT? Zwift Stage Two email confirms that aero power-ups will be given at each arch. As a D rider new to Zwifting (is that a word) some of these stages look almost impossible! I rode a stage for the first time last night (Stage 3) and it was a challenging experience. 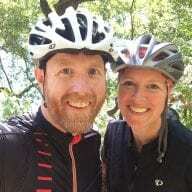 It was my first time riding in ERG mode and I didn’t understand gearing and shifting. I like the upcoming “flat” stages and hope I can complete them.